Desert Hot Springs is located right across from Palm Springs and is known for the quality of its mineral waters, considered the best in the world for their composition and healing powers. Hearing about their fascinating properties, I decided that I had to test them and picked Two Bunch Palms as my ultimate place of transformation. 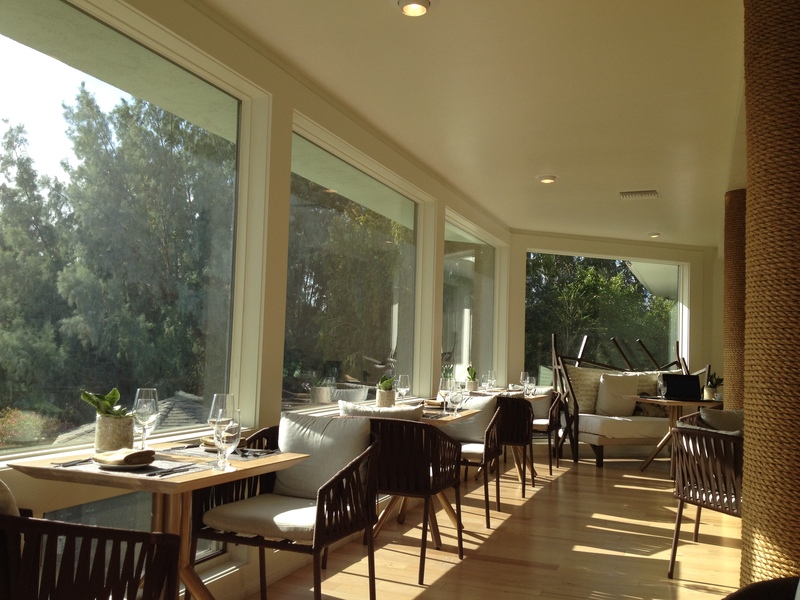 I had lunch at the beautiful remodeled restaurant, Essence, decorated with white and neutral tones and resembling an enchanting forest. The restaurant overlooks the resort’s lake and the San Jacinto Mountain, so it’s definitely a great spiritual way to start a relaxing day. I thought I was already relaxed just by strolling on the property grounds and checking in at the Spa, which smelled absolutely divine, but nothing compared to the level of bliss I felt when I immersed myself in the grotto. 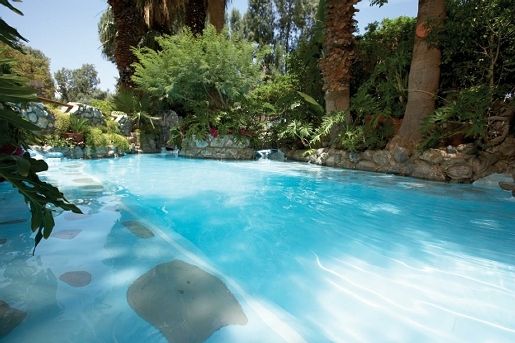 Two Bunch Palms’ legendary grotto features two mineral water pools that are carefully kept at a consistent temperature. I felt as I was receiving myriad massages all over my body and what they claim it’s true — these waters are magical, they’re mood-enhancing, and one can experience a level of nourishment and rejuvenation never felt before. This is due to the fact that the water rises from the deep double geological fault of Miracle Hill at approximately 148 degrees Fahrenheit. People travel from all over the world to stay here, but I had the pleasure to meet a local gentleman who is a regular customer. He filled me in with many tips about the waters and the resort itself. Apparently, Al Capone stayed here to enjoy the beneficial waters or to simply hide out. His bungalow is available for rent and features what are said to be bullet holes. I had to politely excuse myself and go back to my happy thoughts in the magic waters.